I passed the mid-year review! All PhD students have an annual review of some kind or another; primarily to ensure that their projects are proceeding as they should, and if there are funding providers involved with the project, they can impose additional criteria for their students to pass. Midland3Cities ask their students to complete a substantial review of their PhD project at the beginning of February; this is then subject to a review and report from your supervisors, and a sort of mini-viva with two academics from your institution (and mine was incredibly useful, they gave me a lot of really good suggestions for the project going forward, so it’s a good process). Needless to say I was very happy that I passed. The period saw a LOT of public engagement of one kind or another…! In mid-April I gave a public history talk on Cursneh Hill (the topic of my article) to Leominster Historical Society – which held my largest audience yet of 75 people! – and which went very well, I think, it was hosted in the wonderful surroundings of Grange Court in Leominster, the old Buttercross that was built in 1633 by John Abel, the King’s Carpenter. At the end of April I drove to the University of Worcester to give a paper based on my MA Dissertation research. This was part of the Early Modern Research Group’s postgraduate conference on the theme of ‘Corruption: Deviation, Degradation, and Malfeasance in the Early Modern Period’. The other papers were given by an intriguing mix of History and English students and there were some fascinating ones there. I was very pleased too to be able to make some great connections with some lovely people. I didn’t see as much of Worcester as I would have liked, although I did drive past one building that was the scene of the crime, so to speak, for Robert Foulkes and his mistress, where they were eventually caught in the act, so that was rather nice! But I do look forward to one day returning to Worcester to explore it a bit better. The following day I gave another public talk on the same topic as the paper from the conference, entitled ‘Love, politics and a naughty vicar in seventeenth-century Stanton Lacy’, to raise money for St. Mary Magdalene Church at Ashford Carbonel, Shropshire, which like just about every church in the country, requires funds to maintain it. £155 was raised for the church that evening, which I was very pleased with! Lessons have continued throughout: I’ve been making good progress with Latin and I attended a really useful four-part series of classes on ArcGIS at the University of Nottingham which will be crucial for my PhD project, as I plan to use ArcGIS to not only analyse data but also illustrate the thesis. In mid-May I helped to organise our department’s postgraduate conference – that’s the Department of History, Politics and International Relations, which was only merged into one at the beginning of this academic year. Although the School of History, as it was, had been running a postgrad conference in May for a number of years (this would have been the fifth), the merger meant that the historians on the organising committee needed to include and think about politics and international relations. This was quite a challenge – we had no idea who many of our P & IR colleagues were, so the conference was even more important than usual in terms of encouraging networking between the different parts of the new department. The day went (mostly) well and I think I’d want to be involved in organising it next year, although we’ll see! I gave a paper that day as well, on the Clubmen of Hereford, and despite looking up at the beginning of my paper to see one of the professors of the department (and who works in the same field… ooh that’s a feeling of doom if there ever was one!) … it went okay! The following day we went to London for the day. It was my partner’s first visit there, and while we went for personal reasons, we were able to squeeze in a little sightseeing (including a bus ride past the spot where Robert Foulkes was executed in 1679 – Tyburn, now Marble Arch), and a visit to the British Library where I got my reading room pass, and which is valid for three years. 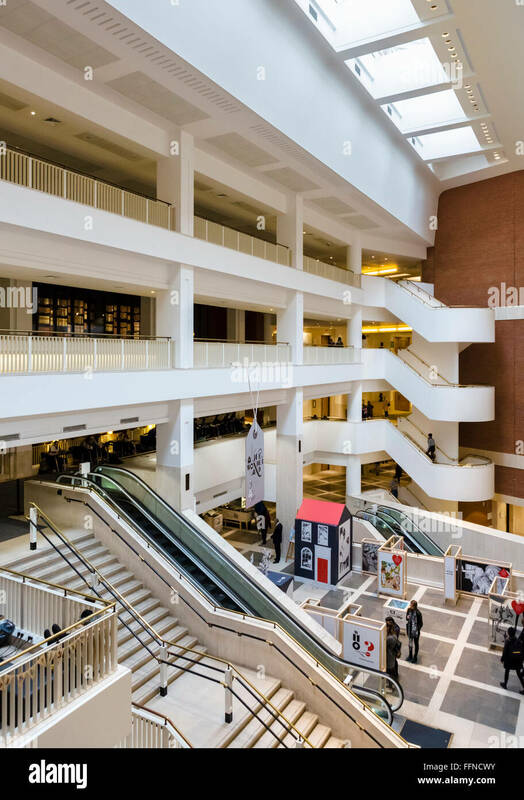 And I got to ride down the British Library escalator. You all know the one – every historian filmed visiting the BL is filmed on it!! The Midlands3Cities Research Festival was held the following week. This was a hectic day, and the highlight was definitely a workshop where four early career academics talked to us about how to become an academic. The room was packed – really testament to just how many of us PhD students really want to become academics. If there was ever a demonstration of how crowded the early career job market is, that was it. I think the other thing that I took away from that day was the sheer variety of PhD projects that are out there as part of M3C. It’s quite easy, inside ‘the PhD bubble’, to… well, intellectually you know that of course people are studying other subjects other than history but rarely do you get exposure to them in quite the same way as we did that day – which exposed the full range of arts and humanities PhDs that M3C funds. And last, but most certainly not least, yesterday I gave a paper at Nottingham Trent University’s school of history postgraduate conference. This conference had a theme of ‘Truth, lies and myths in history: is ‘fake news’ old news?’, and it was perfect for my Cursneh Hill material. Although usually, giving a paper on material that’s already been published is a bit of a no-no, I asked the conference organisers before submitting the abstract and they were happy to accept it. In the end, although I included some material from the project and article, the paper was reflecting more on the differences between myth and history so the paper had new thoughts that weren’t in my original article. It went very well – and the day itself was wonderful. Nottingham Trent’s PG community is one of the friendliest and warmest I’ve encountered, every time I go there I make new friends and I really enjoyed the day – I’m thoroughly looking forward to 2018’s event now! None of this really describes just how busy and stressful the last three months have been, however. There were concerns from those around me that I was taking on too much, and eventually I had to admit that they might have a point. I began to scale back some, clearing the decks ahead of what I anticipated would be a summer spent in the archives. That scaling back process has produced dividends already. I spent the week last week in Hereford in the Herefordshire Archive and Record Centre. I’ll be spending time over the summer visiting churches in the county as part of my research, as well as a LOT more time in the record centre. People often ask academics if they get the summer off, like teachers do, since undergraduates are not on campus. No – the summer is research time! PhD students are no different in that respect. This is more like a full-time job than my earlier courses of study, which had breaks built in. I have annual leave entitlement which I need to take throughout the year, instead of compulsory breaks. But that does bring me to a point. What now for this blog, going forward? I do want to continue to provide updates and progress reports on my research, as well as posting more research/writing intensive heavy posts as well. I’m also going to be posting photos of some of my research trips to the churches of Herefordshire. I don’t think I will need to visit every one of them (indeed, I won’t be able to as some are closed, and others I won’t need to as they were built after the seventeenth century. But there will be thoughts about them, about other things that I see in the county from the period. I’d also like to write some posts about management of the PhD, how I’m doing that, how I manage all the minutiae of my life. So I hope, after this, that this blog will experience a resurgence, but we’ll see. After all, ultimately, my research must come first – blogging does, and should, come fairly low down the priorities ladder. If you’ve questions about my research, or the places I’ll be visiting, or any of the conferences or talks I’ve mentioned here – do feel free to get in touch, you can find me on twitter (@LizRound) or use the details in the Contact link.